President Barack Obama’s State of the Union address was long — too long for Supreme Court justice Ruth Bader Ginsburg, who appeared to fall asleep as it was being delivered. 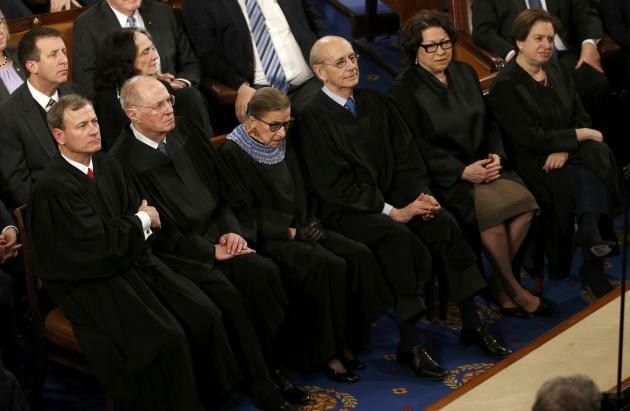 Seated in the first row alongside her fellow justices, the 81-year-old was caught on camera nodding off about 20 minutes into Obama’s 59-minute speech. The unscheduled nap did not go unnoticed on Twitter. Perhaps we should've seen this coming. Ginsburg — who's been known to nod off during State of the Union speeches — arrived at the Capitol Rotunda on Tuesday night carrying a newspaper. Ginsburg's momentary doze wasn't the only thing that drew attention to the Supreme Court justice.